Off their upcoming 5th album, Panic! are back with another song. Branching out even further, this band loves to keep fans guessing. And they do a damn good job of it with this new single, "Death of a Bachelor". Different from anything else they've released, it marks another shift in the band's overall sound and style. Is it a step forward or a step back, that's for you to say. Click this (link) to buy their first single "Hallelujah" on iTunes. Before we get into the review, here's a quote from Brendon regarding the song. "Frank Sinatra turns 100 this year. I attach his music to so many memories... His music has been a major player in the soundtrack of my life. So it’s only right that I return the favor and/or pay it forward. I wrote a new album this year and even in the few songs that don’t sound remotely similar to any of his music I still felt his influence in the writing and the need to relate so personally to each song. “Death Of A Bachelor” is very important to me. It expresses the bittersweet (but mostly sweet) end of an era. A look back at a part of my life now deceased..."
Taking that quote into account, we appreciate what Brendon's doing here with this track, but it doesn't seem to fit Panic! at all. As a solo single, it would be perfect. A great example of Brendon's singing abilities and his songwriting skills. But as a possible setlist song, it seems to slow things down to a standstill. The worst offense are the random beats thrown in during the bridge. Like a DJ took an old jazz record and decided it needed some 21st century touches. Bad idea x 100. Mixing classic jazz with whatever you classify Panic! as. 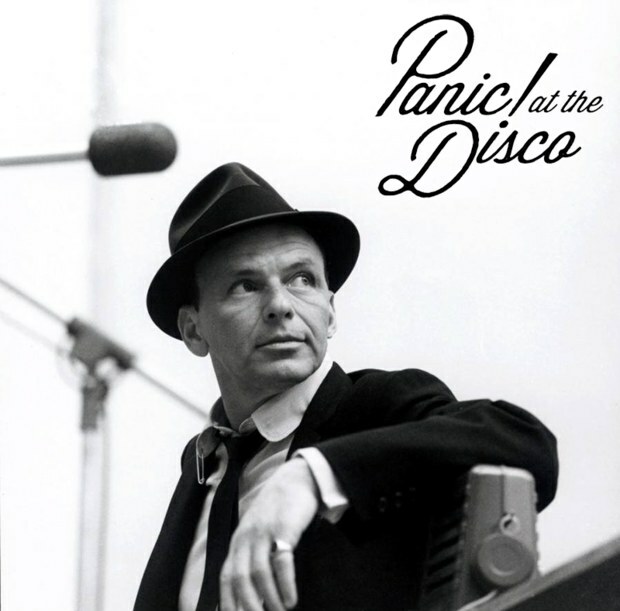 Appreciating their efforts to do something new and different, this was a little too out there ever for Panic! Otherwise this is a pretty solid track. The jazz vibes don't do anything for the band, but they're pleasing to the ear. And that earns the P!ATD boy a few points in our book. A song that recalls memories of the 50s and 60s, this would be right at home on the soundtrack to an old, black and white noir movie starring Humphrey Bogart. But as a Panic! track, it's not as appealing as some of their other songs. A nice effort by the band, or just Urie, to diversify, and do something completely new and unheard of before, this song simply isn't right as a the 2nd single off their next album. It doesn't represent what we can expect the rest of the release will sound like, as Brendon has stated that this was just a one time thing. Again, it would have been better off as material for a solo EP from Brendon.